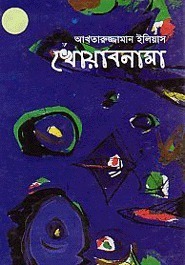 Must read; a great magic realist Bengali novel. Definitely and obviously the writer was inspired and influenced by the "one hundred years of solitude" of Marquez. Story of the rural Bengal before the partition when the Muslim League was propounding and propagating the doctrine of Pakistan and was trying to convince and confuse the mind of proletariat not to join the class struggle but to join their communal movement. One of the best books I ever read. Them people don't live here anymore. We do.